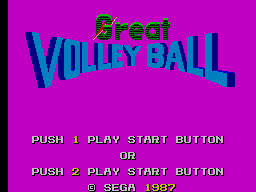 Sonic Spike is a beach volleyball game. 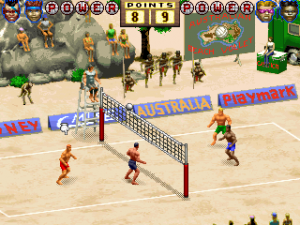 The player takes the role of a volleyball team with two athletes (which have different strengths and disadvantages) and tries to win a tournament. 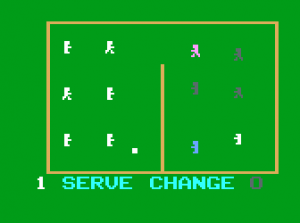 The second athlete can also be played by a second human player. 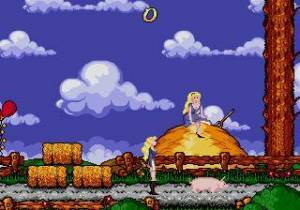 The controls offer no surprises: players move an athlete over the field and use two buttons for jumping and hitting. 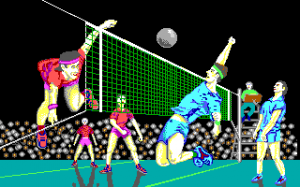 Single players also have to switch between the two athletes.